Synergy & Peplink will jointly organize a Product Updates Workshop on October 11, 2018 in Synergy’s office. 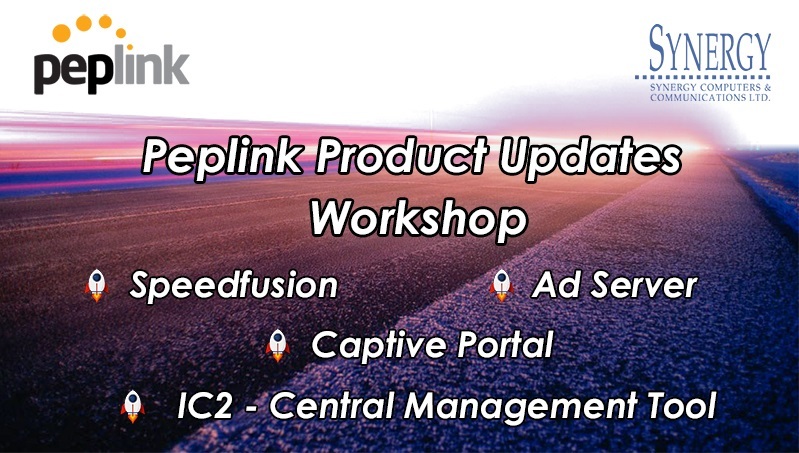 The workshop will cover Peplink’s latest technology products, such as Speedfusion, Ad Server, Captive Portal as well as IC2 – Central Management Tool. Our network professionals will conduct a product briefing & live demo for the technical experts & salespersons in IT field. 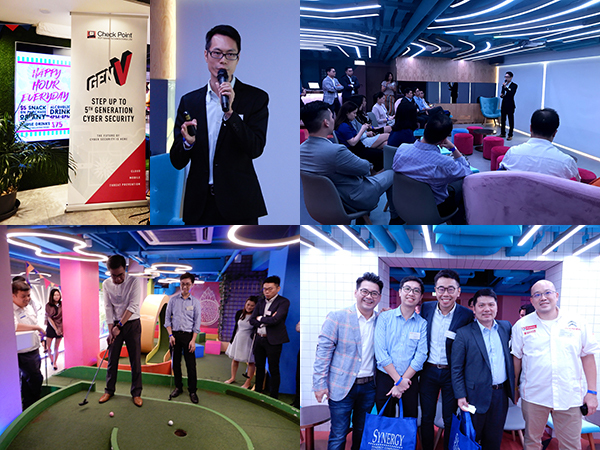 On September 28, 2018, Synergy & Trend Micro jointly organized a “Securing Your Network When the Non-technical People Are Dominating” Workshop for Education Sector in Synergy’s Office. 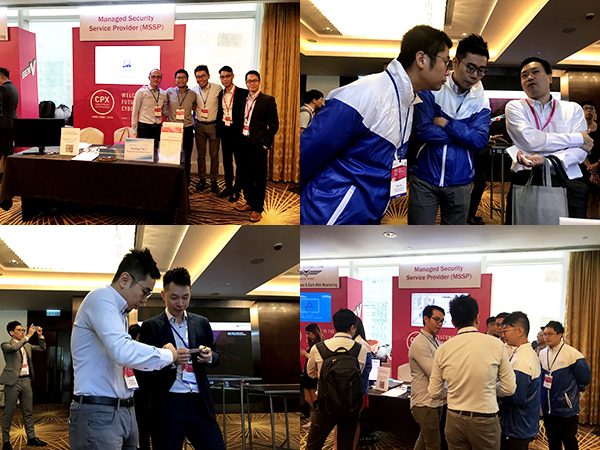 In the workshop, Synergy & Trend Micro’s network & security professionals introduced their Security Products, like OfficeScan, DeepSecurity and the benefits of Next Generation Scanning and Virtual Patching Solutions. The delegates of education sector understood more about Trend Micro’s Security Solutions in safeguarding themselves from hacking and intrusion coming from network, cloud and mobile phone in order to prevent their loss of important information and bring complete protection on their network security. Synergy Wishes You a Happy Mid-Autumn Festival! On the joyous occasion of the Mid-Autumn Festival, Synergy would like to send our heartfelt wishes and blessings to you. May the Mid-Autumn Festival bring you good fortune, great health and happiness! 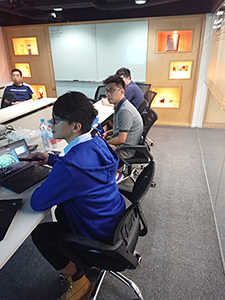 Synergy collaborated with its valuable vendor – Peplink to organize a product updates workshop for our partners in Synergy’s office. 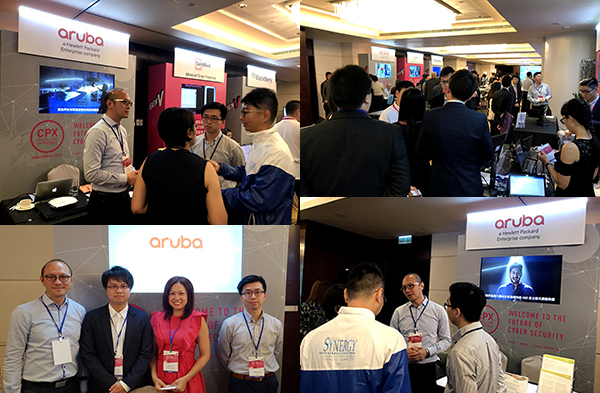 Our technical professionals shared Peplink’s newly released technologies, namely Speedfusion, Simbank and IC2, which enhanced our partners’ understanding in Peplink’s latest technological trend. Meanwhile, our partners showed keen interest in the partnership with Synergy for even better business growth. Synergy Computers & Communications Ltd, a fast-growing IT distributor, is pleased to announce that our office has been relocated to Unit 04, 3/F., Shui Hing Center, Kowloon Bay. 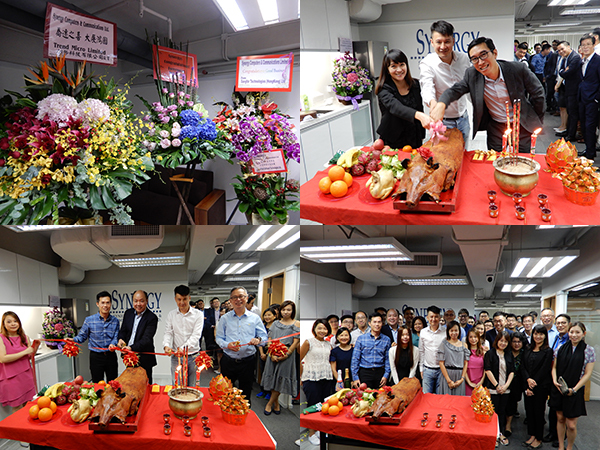 A grand opening celebration took place in our new office with a roast pig cutting ceremony, followed by vendors & partners visit and refreshment time. During the Chinese New Year holiday, our office shall be closed from 28th January to 5th February 2017. We will be back for business on 6th February 2017. We are pleased to announce that Synergy has been recognized as an authorized distributor for Pulse Secure. Pulse Secure, LLC is a leading provider of secure access and mobile security solutions to both enterprises and service providers. Enterprises from every vertical and of all sizes utilize the company’s virtual private network (VPN), network access control (NAC) and mobile security products to enable end user mobility securely and seamlessly in their organizations. Pulse Secure was formed in 2014 from Juniper Networks’ Junos Pulse business. Pulse Secure’s mission is to deliver secure access solutions for people, devices, things, and services.